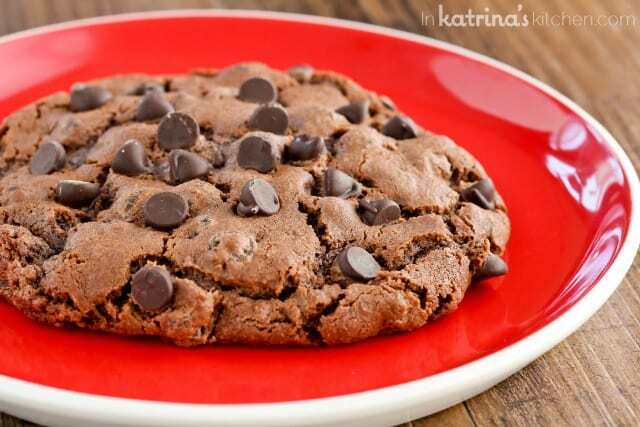 Sometimes you just want a cookie…or two, am I right? 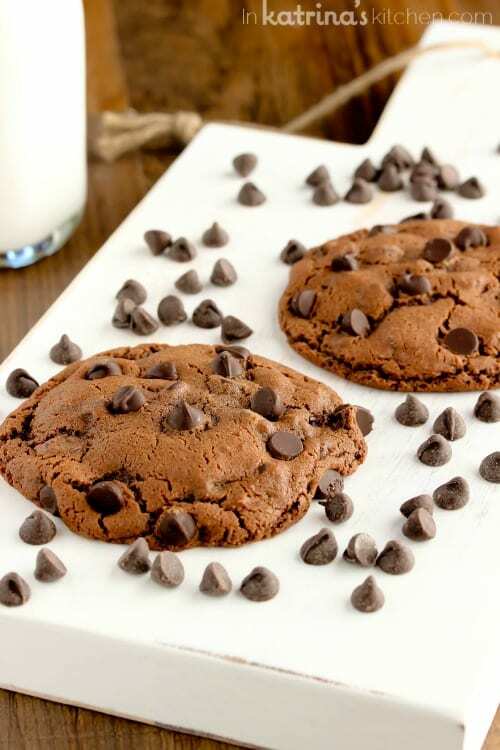 When you are in the mood for chocolate, you are going to want to whip out this recipe for Double Chocolate Chip Cookies for Two. It makes 2 generously sized cookies or one GIANT cookie. This content is sponsored by The Hershey Company. If you’re going to have dessert you might as well make it fabulous. I would rather take one indulgent ice cream sundae with all the toppings my heart desires than settle for something less. If I have the urge for chocolate it’s best to just get it out of the way and savor every second of it. Enter these cookies. Sometimes you just want the great taste of chocolate with a giant glass of milk. When I spent time in the HERSHEY’S Kitchens this past summer I was so pleased to learn that The Hershey Company still uses fluid milk delivered fresh daily from local dairy farms to make their HERSHEY’S Milk Chocolates in the West Hershey Plant in Hershey, PA. In fact Milton Hershey chose the Derry Township area to build his chocolate company because he wanted to ensure that the milk was only fresh milk coming in to make his product. I developed this recipe to be enjoyed by two people, but I tested it several times and made adjustments to the recipe so that it can be enjoyed as one GIANT cookie to sharel! Seriously. 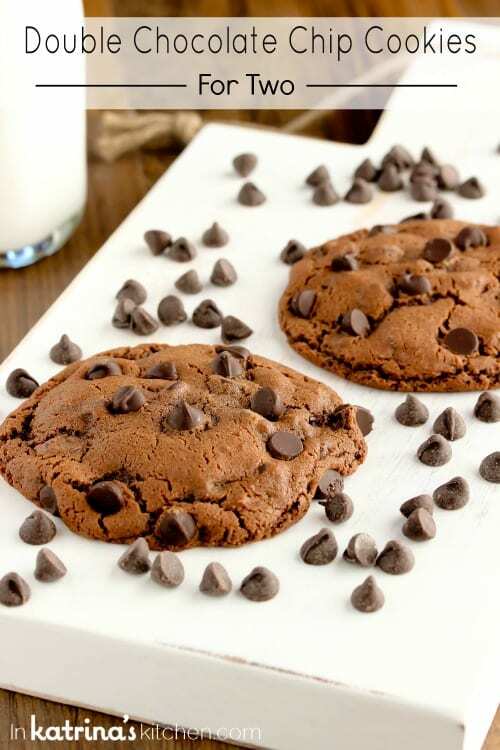 Double Chocolate Chip Cookies for Two is just the recipe you need for Valentine’s Day coming up. You don’t even need to turn your mixer on for this recipe! All it takes is a small bowl, a few measuring spoons, and a rubber spatula, and you’re 30 minutes away from chocolate bliss. I think you should completely 100% make this for your valentine! 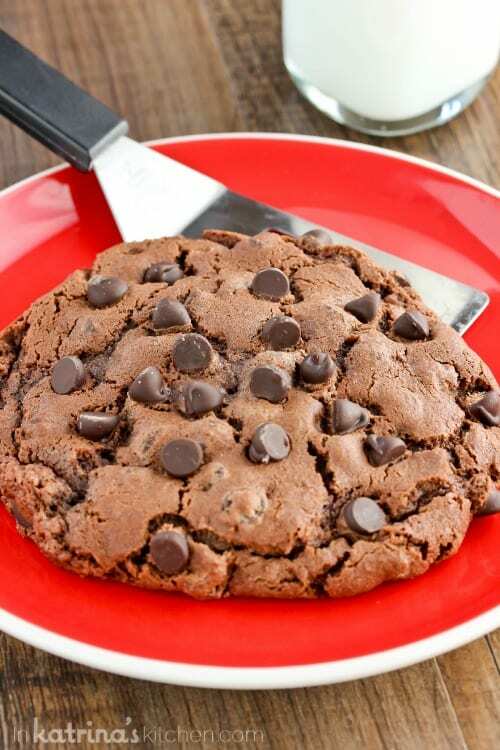 Double Chocolate Chip Cookies for Two... or One! Looking for a quick dessert for two people? Chocolate Chip Cookies for Two recipe makes two (or ONE!) giant cookies to share! In a small bowl (or electric mixer if you prefer, but not necessary), use a firm spatula to cream together the butter, salt, and sugars until smooth and incorporated. Add the egg yolk and vanilla extract. Mix until smooth and creamy. Stir in flour, baking soda, and cocoa until a dough forms. Add chocolate chips. Dough will be wet/sticky. Separate into two equal mounds of dough. Press a few extra chocolate chips into the top if desired. Chill dough balls in the refrigerator for 15 minutes. Preheat oven to 350° F while you wait. Transfer cookie dough balls to a baking sheet lined with parchment or a silicone baking mat. Bake for 8-10 minutes. Let cool on the baking sheet for 10 minutes before transferring to a cookie rack to cool completely. Follow steps 1-3 to make 1 giant cookie. Form dough into a large disc. Chill for 15-20 minutes. Bake at 350° F for 12-14 minutes. Let cool on baking sheet for at least 10-15 minutes before transferring to a cookie rack. These look AMAZING!! Two cookies means I can eat both! Kind of do not like you right now. I am supposed to be avoided added sugar this week, and then you show me this?!?!?! My valentine and I would love these cookies! They look so inviting! 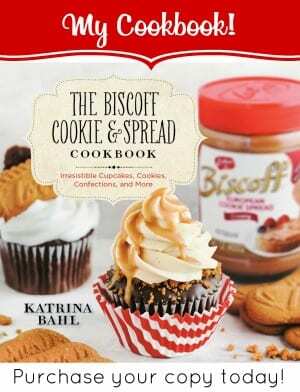 Thanks for the great recipe, Katrina! I love personal sized desserts! Great job! I am wondering if you could remove the cocoa and add an extra Tbsp. of flour to make them a regular chocolate chip cookie? Absolutely genius! 2 cookies both for me! Yeah, looks like I’m not alone in wanting to keep the cookie all for myself! 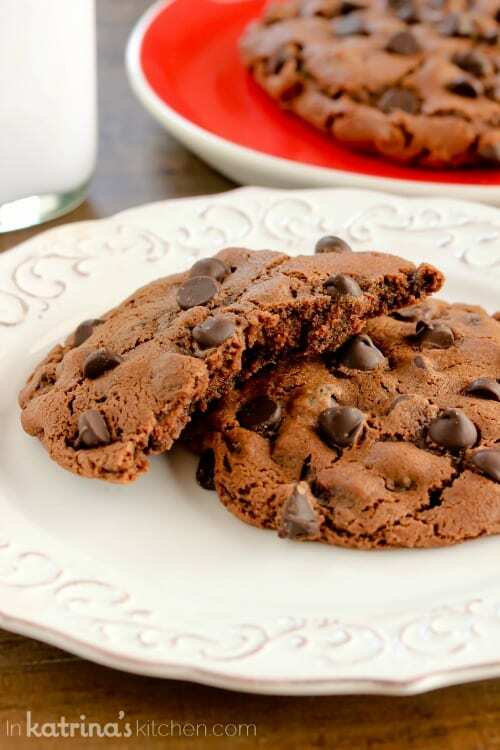 Sometimes, you just need some chocolate cookie in your life. 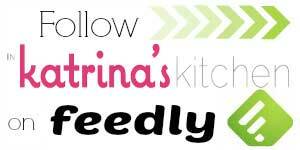 LOVE this recipe, Katrina! I can’t wait to try it! I went to Hershey as a kid-it’s so cool! oh these look fabulous!! and I’m also sending this to my mom who lives alone and complains she rarely bakes any more because she doesn’t want all that food around for just her! 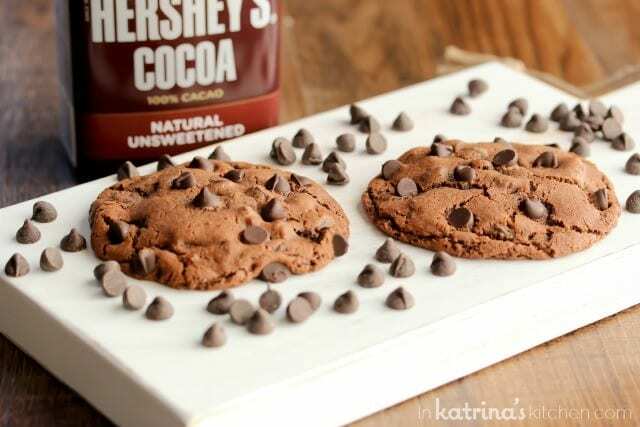 Please pour me a big glass of milk, gotta have for this decadent chocolate chip cookie recipe! Delish! These are beautiful and chocolate-y heaven! Mmmm! 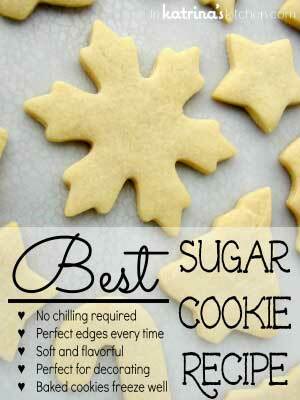 A 2-cookie recipe is PERFECT!! So often I want fresh baked cookies but am too afraid I’ll eat the entire batch in one sitting!! LOL!! I love giant cookies! I don’t think I could share! Cookies for two! Or one big cookie for me sounds a little better, actually. 🙂 These look so delicious. I have been craving chocolate today with nobody around to share with me. I will be making these ASAP! 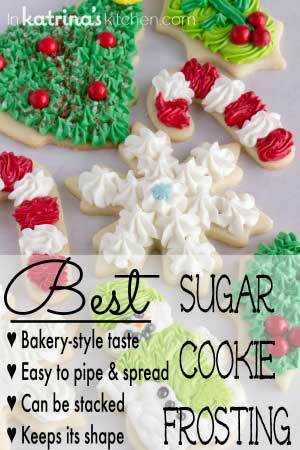 Perfect cookies to enjoy on these cold winter nights with hot chocolate!! This looks lovely, I am a vegetarian, how can I replace that egg yolk? Even I m a vegetarian.how can I replace egg yolk in this recipe.pls advice. 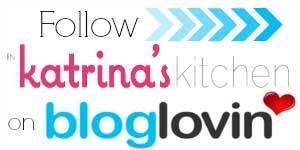 My husband is gonna love you (and me 🙂 for this one…thank you, thank you Katrina! Was so excited to make these! But found that they weren’t sweet enough (need 2 T regular sugar also?). Also my mounds of dough didn’t really flatten, so the centers didn’t cook. Was I supposed to flatten them down? @Arathi, @Sneha, you can use 1T ground flax/chia seed + 3T water, for every egg/yolk required.